Romantic stefana Greek crowns for Orthodox weddings, handcrafted with lace flowers, green porcelain leaves and stones resembling Swarovski. The crowns are attached together with an ivory satin ribbon. 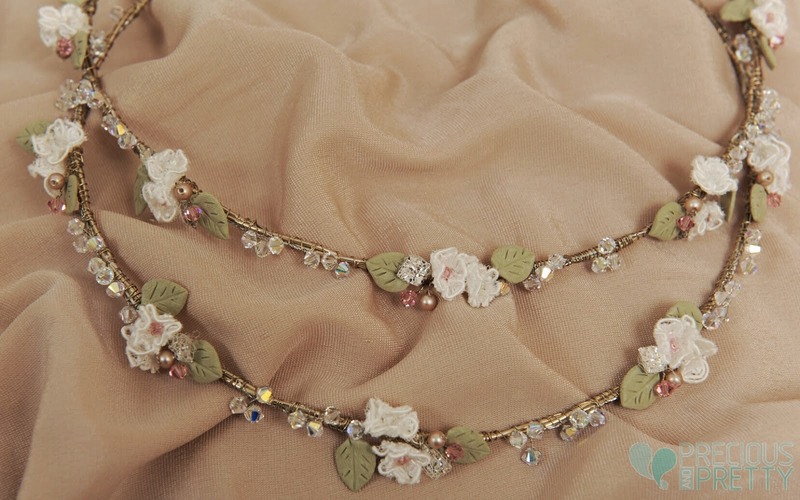 https://www.preciousandpretty.com/2019/01/stefana-romantic-greek-wedding-crowns-1062.html Greek Wedding Favors|Orthodox Crowns|Stefana|Baptism Invitations Stefana Romantic Greek wedding crowns 1062 Romantic Greek stefana wedding crowns amde with porcelain leaves and lace flowers. Product #: Greek Wedding Favors|Orthodox Crowns|Stefana|Baptism Invitations_419481212096418788 5 stars out of 5 reviews.